Reading and share top 4 famous quotes and sayings about Government Employees by famous authors and people. Browse top 4 famous quotes and sayings about Government Employees by most favorite authors. 1. 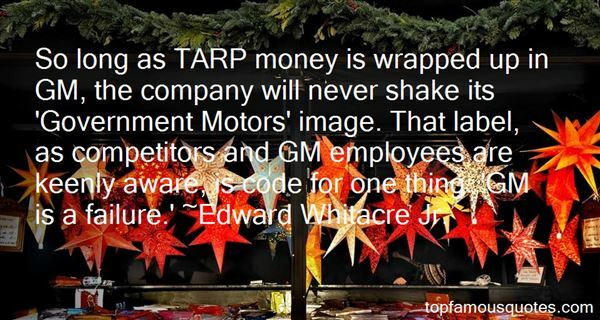 "So long as TARP money is wrapped up in GM, the company will never shake its 'Government Motors' image. That label, as competitors and GM employees are keenly aware, is code for one thing: 'GM is a failure.'" 2. 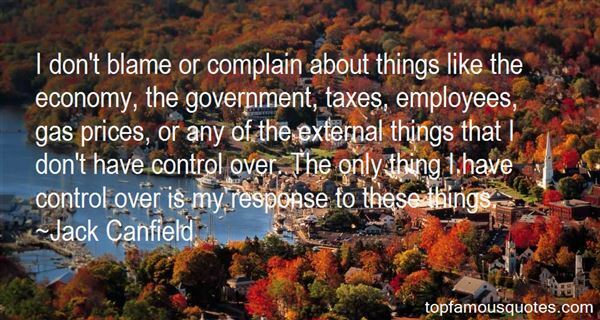 "I don't blame or complain about things like the economy, the government, taxes, employees, gas prices, or any of the external things that I don't have control over. The only thing I have control over is my response to these things." 3. "While other state governments stiff their vendors, close parks, delay tax refunds, and ignore unacceptably poor service levels, Indiana state employees are setting national standards for efficiency." 4. "Often the best source of information about waste, fraud, and abuse in government is an existing government employee committed to public integrity and willing to speak out. Such acts of courage and patriotism, which can sometimes save lives and often save taxpayer dollars, should be encouraged rather than stifled. We need to empower federal employees as watchdogs of wrongdoing and partners in performance." If I speak with the tongues of men and of angels, but have not love, I am become sounding brass, or a clanging cymbal. And if I have the gift of prophecy, and know all mysteries and all knowledge; and if I have all faith, so as to remove mountains, but have not love, I am nothing. And if I bestow all my goods to feed the poor, and if I give my body to be burned, but have not love, it profiteth me nothing."